This year our shipping containers will be different! 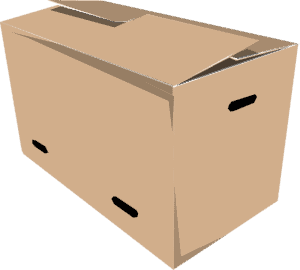 If you’ve purchased from us in the past, you know we have used boxes filled with plastic and wood shavings to keep the trees safe. However, we have always hated the resources these require to create and the amount of plastic we used. We have two options for getting your plants and trees, first is local pick-up and second is shipping. 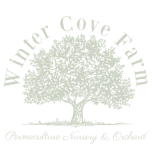 We are located at 31 Cove Road, Winterport, Maine 04496, 207-478-8759. Plants will usually start shipping at the end of April and we will schedule our Tree Sale & Pick-up at this time too. Our dates this year will be April 27th and May 4th. We will be available for these date from 8 am until 2 pm for pick-up. If you need a date outside of this time, please contact us to arrange a time that is best, we are flexible. For USPS Shipping, you will be notified by email when your order is shipped by supplying your email address. Please put different shipping addresses, special instructions, etc in the space provided during checkout. Shipping is automatically calculated for your zip code on the checkout page. We work on making the shipping fair and reasonable; however, due to the size of much of our stock, we are subject to oversized rates. Shipping Restrictions are implemented by certain states that we HAVE to abide by. If, by chance, you do order and item that we cannot ship, we will refund your money after informing you of this issue. CA: We are not certified for any CA sales. Weather conditions may delay or hasten our spring shipping and availability. By purchasing items on our site, you agree and understand that we do our best to ship at the best time for the trees, not our schedule. We ship via USPS Priority Mail If the variety you order is not available, we will contact you to find out if you’d prefer a replacement or credit. We can fit up to 4 trees per box which ships priority for $25 to $63 per box depending on what shipping zone you are in. If you have questions regarding shipping, feel free to drop us an email. Sometimes, due to nature and it’s many faces, the plant that you’ve ordered may be unavailable. In this happens, we can substitute a similar variety for you or give you a refund. We will contact you as soon as we know this and give you the choice as to which option you’d prefer.